The Uptown Consortium has been developing a wayfinding system for the Uptown area. This will be a significant improvement upon the current dated signage that you see scattered haphazardly throughout the area now. 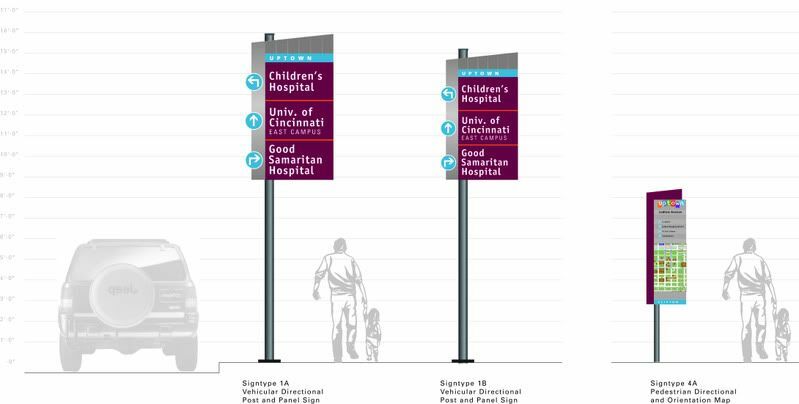 Hopefully this signage will be customizable and/or complimentary to signage that will need to be developed, for the Cincinnati Streetcar, when it comes to the Uptown area in the near future. I love wayfinding systems, but the last thing we need is redundant systems cluttering the sidewalks.